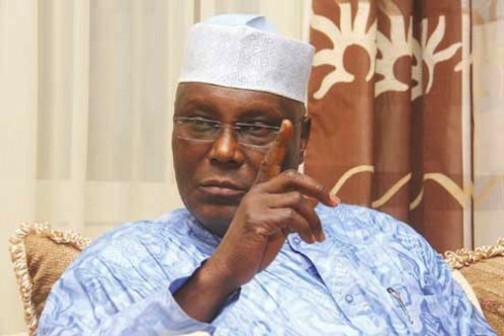 Former Vice President Atiku Abubakar, a presidential aspirant under the platform of PDP has denied in strong terms a statement attributed to him that there would be consequences should the PDP fail to issue him the presidential ticket. The elder statesman was alleged to have boasted that the party has no option rather than giving him the mandate to be its presidential flag bearer or there will be no peace in the party. Reacting to the malicious statement making the rounds in some quarters of the media on Wednesday, a close ally to the former vice president Abdullahi Shuga explained that the statement was not only false but malicious, fabricated by political opponents to dent the image of his boss. According to him, such statement would never have come from a true Democrat who has for a long time sacrifice for the betterment of the nation’s democratic culture. He reminded that in 2007 when all the Governors of the federation stood by Atiku against Obasanjo to contest the Presidential seat, he revoked such offer on account that his party, PDP had an arrangement for a Southern President. He further made it clear that all Atiku Abubakar is after is stability in the polity and the salvation of the Nigerian State from the present economic and socio political turmoils. Shuga hinted that the candidature of Atiku is for all Nigerians because as soon as he assumes office as President of the Nation, the Country would see a real change desired by all Citizenry. “Nigerians should believe in Atiku Abubakar he is a Man of tremendous values and sound character all aimed at making a better livelihood and a Country free of killings, maiming and destructions of human lives,” Shuga said.